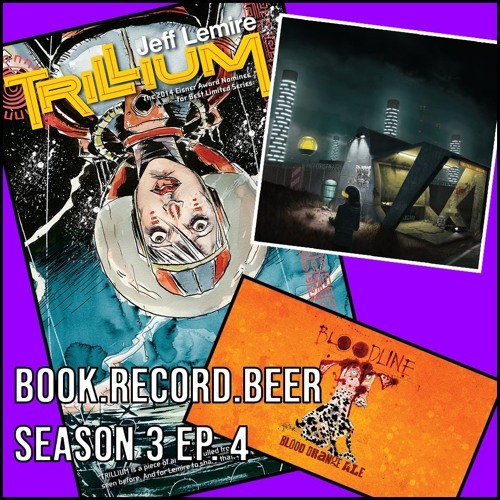 This month we're live and remote at the specatacular comic shop Hero Complex in Manayunk, PA. We're talking Jeff Lemire's Trillium (graphic novel—a first for us! ), Infinity Shred's Long Distance (record—instrumental—another first for us! ), and Flying Dog's Bloodline blood orange ale (beer—you guessed it, for the first time!). Tune in to hear the dudes chat about first comics, how many infinities out of 8 infinities is enough, the perils of 7% beer, and so much more with special guest, and proprietor of Hero Complex, J.D. Korejko.